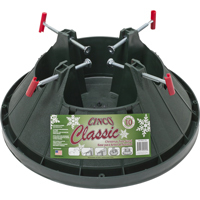 These are the original Cinco stands with the screw in bolt system made of automotive grade polypropylene. Rust proof spike secures tree trunk. Easy-fill water reservior. Made in the USA.